Don't be caught without luxurious, conditioning support for healthy looking hair when you're on the go. Get Honeysuckle Rose Conditioner Travel Size from Aubrey Organics. Honeysuckle Rose Conditioner Travel Size is a perfectly sized, 2 ounce bottle of a 70% organic conditioner with nourishing, moisture intensive ingredients to support dry hair. 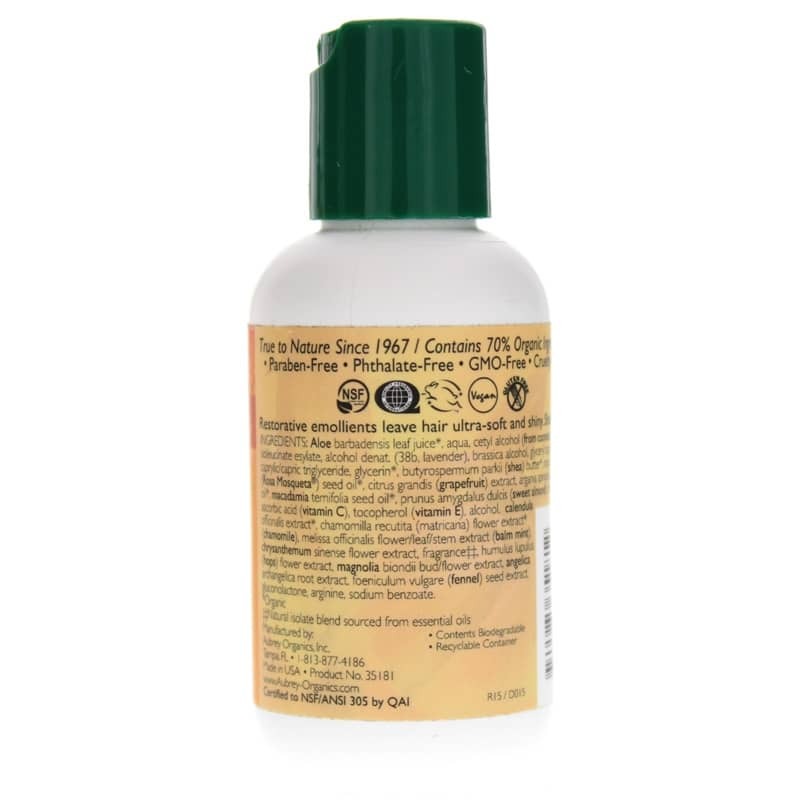 Featuring organic rosa mosqueta oil and a blend of floral extracts, this conditioner is designed to help smooth out tangles and nourish dry, brittle hair, supporting hair's softness and manageability for beautiful and healthy looking hair. 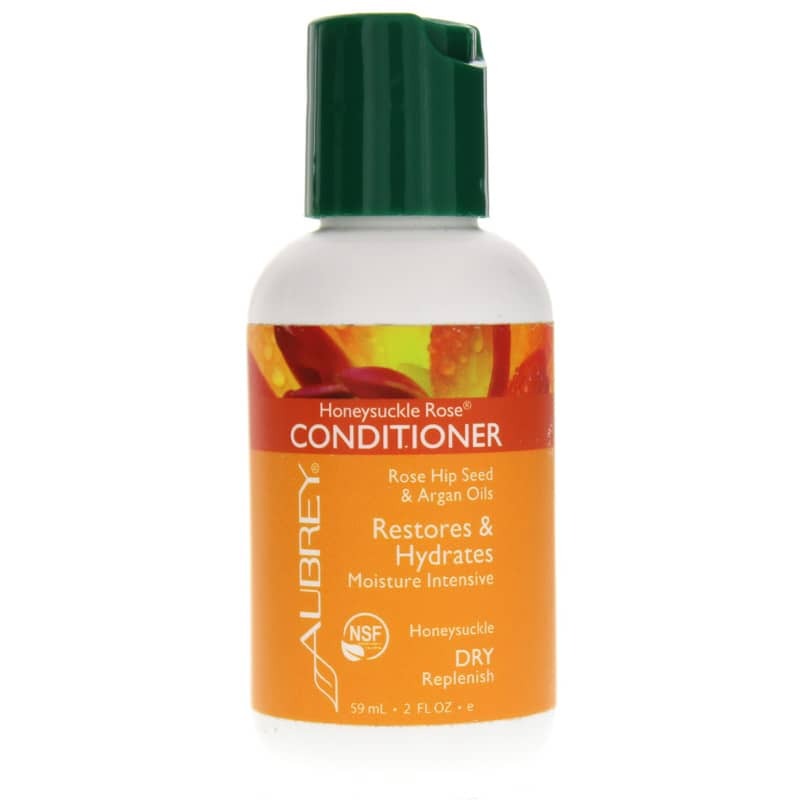 For a truly soothing and pampering experience, this conditioner has a lightly floral honeysuckle scent. And made with 70% organic ingredients meeting NSF organic standards, you can feel good about what you're using. This small, 2-ounce bottle is the perfect way to take your favorite conditioner with you anywhere you go. Order Honeysuckle Rose Conditioner Travel Size today! Aloe barbadensis leaf juice*, aqua, cetyl alcohol (from coconut), brassicyl isoleucinate esylate, alcohol denat. (38b, lavender), brassica alcohol, glyceryl caprylate, caprylic/capric triglyceride, glycerin*, butyrospermum parkii (shea) butter*, rosa rubiginosa (Rosa Mosqueta) seed oil*, citrus grandis (grapefruit) extract, argania spinosa (argan) nut oil*, macadamia ternifolia seed oil*, prunus amygdalus dulcis (sweet almond) oil*, glycerin, ascorbic acid (vitamin C), tocopherol (vitamin E), alcohol, calendula officinalis extract*, chamomilla recutita (matricaria) flower extract* (chamomile), melissa officinalis flower/leaf/ stem extract (balm mint), chrysanthemum sinense flower extract, fragrance**, humulus lupulus (hops) flower extract, magnolia biondii bud/flower extract, angelica archangelica root extract, foeniculum vulgare (fennel) seed extract, gluconolactone, arginine, sodium benzoate. Contains NO: parabens, phthlates, GMOs, gluten. Vegan.